The next stop on our visit to New Zealand was the winter adventure playground of Queenstown. We took the nearly 2 hour flight from Auckland, all the way down the centre of Aotearoa (Maori for New Zealand). Passing over the beautiful snow capped peaks of the Southern Alps we descended in fittingly spectacular fashion through a narrow gap in the mountains to land at our destination: Queenstown airport. Queenstown is...well, immac. A perfectly groomed little town. It nestles at the foot of the Remarkables mountain range, on the edge of the stunningly beautiful lake Wakatipu. And how remarkable are those Remarkables. Their jagged peaks punch up through the clouds, to the heavens above. The atmosphere and environment in Queenstown fully satisfies every stereotype, cliche and piece of marketing literature ever put out about New Zealand. Clean. Crisp. Fresh. Beautiful. Huge scenery. Every time you set foot outside in this place you can simply binge on exquisite visual landscape that surrounds you in seeing some of God's very best work. Our home for our 4 days in Queenstown was the boutique Spire Hotel, located right in the heart of this little alpine village. We occupied 2 suites and they were lovely: warm (important, since it was never more than about 5 degrees outside, and often a lot colder), stylish and immac. The staff could not have been more helpful and accommodating; they made our stay perfect and mean that we will definitely be back. Queenstown is a place where you could never run out of things to do - day or night. As well as a plethora of adventure activities on offer, the town has great shopping (including an LV...yessss), outstanding coffee and some truly exceptional restaurants and bars (a little more on that shortly). 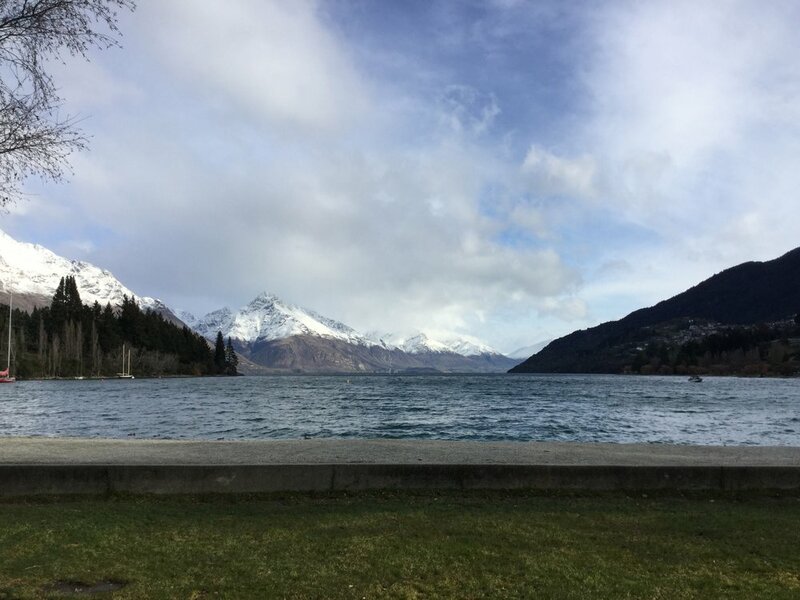 So, what were my picks from our time in Queenstown? The world famous Shotover Jet. This involves a bus journey, about 15 km out of town through stunning countryside to the Shotover River. Upon arrival you don wet weather gear. At this point I am putting everything into looking immac...in a mac. You then embark a bright red jet boat to hurtle along this amazing river, within a whisker of the edge of the river canyons through some outstandingly beautiful scenery, at about 85 km/hr. The boat is driven by a Kiwi chap, executing it all in typically casual New Zealand fashion, hardly raising an eyebrow as his nose just about scrapes the canyon's edge as we fly past. The result is a massive, freezing adrenalin rush against a background of stunning natural beauty. Everyone must do this, at least once. A ride up the Queenstown Gondola which rises about 500 metres behind the town to give you exceptional views of the mountains and the lake. You can have a glass of Veuve Clicquot in the bar at the top and breath in the magnificent 360 degree vista around you. Two great restaurants. Rata - dinner at this excellent restaurant is mandatory. The chef has a Michelin star. 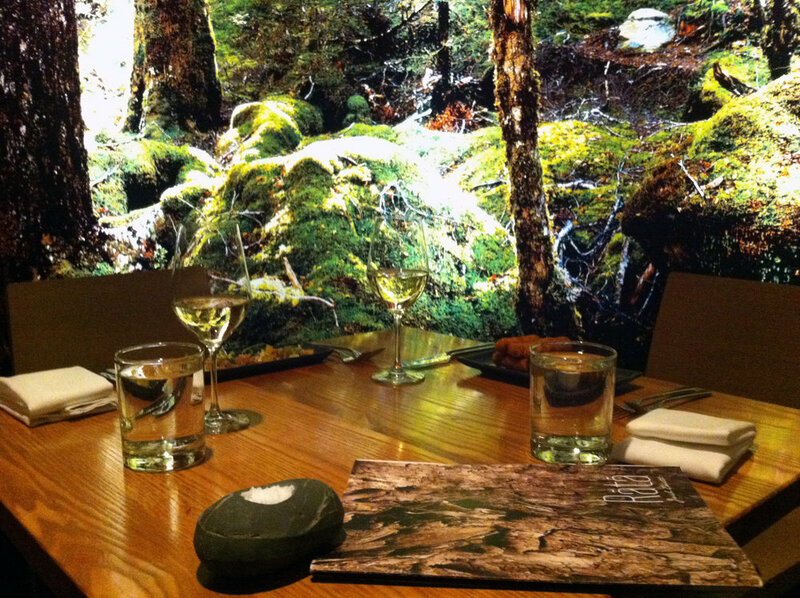 The food is some of the best New Zealand has to offer and the surroundings are very unique and super stylish. Botswana Butchery - located right on the lake front, a beautiful bar upstairs and exceptionally good food and wine throughout. The perfect place for a romantic dinner date as the snow falls outside. The Bunker - this great little upstairs bar has a roaring fireplace next to which you can enjoy a great cocktail to fantastic sounds. Very cool, and very warm all at the same time. I love this place. That is just my pick for an immac girl of the highlights in Queenstown. There are so many other things - summer and winter - that this place has to offer. From amazing vineyards to bungee jumping, to skiing at any one of the 4 ski fields located within a stone's throw of the town. There is totally something in Queenstown for everyone, and plenty also for your other half. I loved our time in this beautiful alpine playground. I can't wait for our next visit.